Choose the path that’s right for you and save up to 15%! Register for this package course and save 15% on tuition! We offer flexible date and location options for programs in this course. Please note that you do not need to complete all these courses, this is a list of all possible options for completing the curriculum. You only need to complete the 3 core programs once. Register for this package course and save 10% on tuition! Looking for the 200 Hour Teacher Training? Yes, we’ve got you covered! Common questions about certification requirements with us. Which AYI programs are eligible for Yoga Alliance or other CE credits? *Yoga Alliance reserves the right to request supporting documentation from an RYT to substantiate the qualifications of any non-YACEP. Click here for a chart of qualifying programs here. 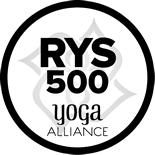 Yoga Alliance Continuing education information here. How do I become a member of the Yoga Alliance? What are the benefits? If you would like to register with the Yoga Alliance please visit their website linked here for requirements,directions on becoming a member, and registering. Here is a link to member benefits. If I am a 200 or 300 hour certified elsewhere, can get the remaining hours at Amrit Yoga Institute? Yes, the 500 hours of training can either come from one school or can be a combination of a 200-hour program plus 300 hours of advanced training from a different school. You can have done 200 hour elsewhere and complete the 300 hour with us, or vise versa. Does the timing and order of the courses in the 300 or 500 hour track matter? You need to take Level 1 Integrative Amrit Method of Yoga before taking Level 2 Advanced Amrit Yoga. Many students find they have the best experience when they start with Yoga Nidra training. However, this is not a requirement. We offer flexible date package deals on RYT 300 and 500 course curriculums. We understand choosing a yoga teacher training is a big commitment. We’re here to make sure you make a decision thats right for you!